12841 is Mr. Wu Zeheng´s prison number. Mr. Wu Zeheng, with an alias Xin Yu and Buddhist name His Holiness the Vairocana Xing Wu, is the Patriarch of Buddhism, the 88th successor of Buddha, the 61th Successor of Zen Dharma, the 51th Successor of the Caodong Dharma, and the 32nd Successor of the Offspring Sangha Dharma. Holding the Symbol of Buddha Dharma - the”Kashaya and alms bowl ” (the hundreds patched robe and the alms bowl) that is the direct line of descent from Supreme Shakyamuni Buddha. In April 2011 His Holiness the Vairocana Xing Wu publicized the Dharma Seal of the Vairocana Dharmadhatu-- Square Precept Altar Where the Holy Altar appears, thousands of Buddhas will worship and protect, and all Saints will be around. They will make a joint effort to reduce sufferings caused by disasters in the Saha world. On 23rd Sep 2010 His Holiness Vairocana Xing Wu wrote: “Non form in all forms, everything just as it is-ness. The heart of Origin and the reflection of the Moon in the sea, neither real nor illusionary.” It opened the occult door of Huazang Dharma. On 23rd Sep 2010 His Holiness Vairocana Xing Wu displayed the “Yi Shan Painting”-- a treasure keepsake of Zen Dharma inheritance, and the Holy Blood Relic of Buddha for the first time. On 27th Aug 2010 On the 43rd birthday of Mr. Wu Ze Heng, more than 100 disciples from different places came to Zhuhai to celebrate. Because trouble was suspected by the Authorities, the Zhuhai police, assisted by police from other regions, obstructed the birthday-gathering in every possible way. Mr. Wu Ze Heng and three of his students were held in custody without reason for 24 hours by the local police in the name of “illegal gathering”. Finally, Mr. Wu’s birthday party was held under police surveillance while he was celebrating with his family. On 5th Aug 2010 Mr. Wu Ze Heng issued an article, “To Assist My Compatriots with Fragrance in My Heart” in his blog, sparking a fasting for charity for three days from the 14th to 16th of each lunar month. Practitioners in many places responded eagerly, and various spontaneous charity groups came into existence successively. On 6th June 2010 Mr. His Holiness Vairocana Xing Wu publicized the Precepts Grades in the Grand Penitence Altar ritual of Buddhism. Among all the attending disciples, 11 were awarded the Pure Padma Precept and 8025 were awarded the Bright Mani-jewel Precept. From 21st May to 24th May In order to eliminate calamities, harmonize the whole universe, and make the practitioners find their true-self, attain the paramount wisdom and benefit all beings, His Holiness Vairocana Xing Wu started the Buddhist Grand Penitence Altar ritual, in which almost 8401 disciples and students throughout the country and all over the world participated. On 9th May 2010 His Holiness Vairocana Xing Wupublished “The Instruction of Precepts Grade” in his Sina blog 12841, to confirm the precepts grade and protect the regulation percepts of Orthodox Dharma. These disciples will be the “Wu-” generation and will be collated according to their respective percepts grade. From 27th Apr to 1st May 2010 Mr. Wu Ze Heng went to Shanghai to see his disciples, friends and students whom he had not seen for ages. During this time, the police in Shanghai had a conflict with him because Mr. Wu had an arrangement to visit Shanghai World Expo. Eventually, Mr. Wu and five of his fellows came to visit the Expo on May 1 after continuous negotiation. From 20th to 27th Apr 2010 Mr. Wu Ze Heng went to Beijing to see his disciples, students and friends. On 15th Apr 2010 His Holiness Vairocana Xing Wu held a nine-day Repentance for Three Realms Altar Ceremony, praying for the souls of the departed in Yushu, Qinghai Province and giving a blessing for the whole region that suffered in the earthquake. On 25th Mar 2010 Mr. Wu Ze Heng opened his blog in sina.com (blog.sina.com.cn/china 12841), aiming to preach Six Paramitas and uphold harmony. On 16th Mar 2010Mr. His Holiness Vairocana Xing Wu got his first disciples after returning to the secular world. Wu-Chan and Wu-Jing are the lucky ones. On 5th Mar 2010 Re-entering to the secular world, His Holiness Vairocana Xing Wu wrote the first gatha “Arousing Samadhi of Imprint of the Heart through both Sudden Enlightenment and Gradual Practices” : “ Are there the Bodhi Tree and the Bright Mirror Stand? How can the nature be separated from heart? If the judgment on true or false is determined by existing form or emptiness, Both Sudden and Gradual Enlightenment are trivial.” The gatha exhorted his disciples to comprehend “Non-duality Truth”, eliminate interior and exterior mara-hindrances and attain serenity and purity in their hearts, and to realize enlightenment in their nature. On 28th Feb 2010 (the 15th of the first month in Chinese lunar year) After ten years and seven months of harsh torture in prison, Mr. Wu Ze Heng returned to the secular world(was released from prison). On February 28, Mr. Wu finally returned to his hometown of Hui-lai in Guangdong Province to be reunited with his family under strict control and surveillance from the police force. On 28th Feb 2010 Mr. Wu Ze Heng was released from Huai-ji Prison in Guangdong Province after ten years and seven months torture. On 3rd Jul 2009 Mr. Wu Ze Heng submitted his appeal to the Beijing Supreme Court again. In May 2004 In the middle of the month, Huaiji Prison of Guangzhou Province arbitrarily changed Mr. Wu Ze Heng’s charge from “Economic crimes” to “Crime of Endangering State Security”. Hua Zang Dharma was convicted as “an illegal organization endangering the society”. In May 2004 The prison governor cancelled Mr. Wu Ze Heng´s rights to a commuted sentence. He was illegally deprived of prisoner´s legal rights. 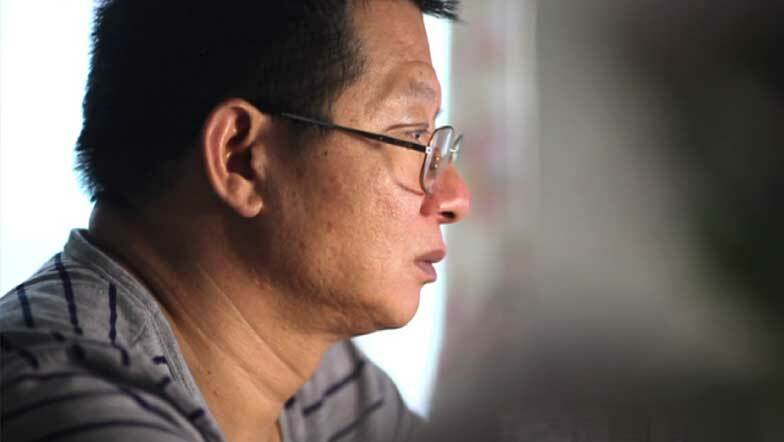 In May 2004 Mr. Wu Ze Heng was found to have tuberculosis and treated with “drug therapy”. During this time, he was forced to labor for 12 hours per day. In Sep 2003 Forced to do long-time heavy physical labor, Mr. Wu Ze Heng got a fever of 40.2 C°for a week. He fell into a coma on the labor ground, but was punished for “taking the liberty of sleeping without reporting”. From Nov 2003 to Aug 2004 Mr. Wu Zeheng was deprived of the right of visitation, which included letters and visits from family and friends. From May 2003 to Jun 2004 Mr. Wu Ze Heng was deprived of the right of communication. In 2003 Mr. Wu Ze Heng sentence was reduced because he over fullfilled his task, and observed the prison regulations seriously. On 23rd May 2002 Mr. Wu Ze Heng was transferred to “the Fourth District” in Huaiji Prison to receive prison “indoctrination”, and put on “A-level” surveillance, strictly controlled . On 17th May 2002 Mr. Wu Ze Heng was transferred from Lian-ping Prison of Guangdong Province to Huaiji Prison. He was locked up in solitary confinement. In Mar 2002 The visiting students wanted to convert to Buddhism on the 8th of April in the lunar year, Mr. Wu Ze Heng gave his approval and instructions and performed the ceremonial ritual. This aroused the attention and interference of the national department. On 27th Nov 2001 Mr. Wu Ze Heng was sent from Bejing to Lian-ping Prison of Guangdong Province to receive prison indoctrination. On 2nd Nov 2001Beijing Supreme Court delivered the verdict in the trial of second instance, upholding the original sentence of Beijing Intermediate Court.Mr. Wu Ze Heng was sentenced to 11 years imprisonment for “illegally operating a business” and “unauthorized issuance of shares”. On 15th Jan 2001 Mr. Wu Ze Heng lodged an appeal to Beijing Supreme Court. On 20th Dec 2000 Mr. Wu Ze Heng was sentenced to 11 years imprisonment by Beijing First Intermediate People´s Court for “illegally operating a business” and “unauthorized issuance of shares” in the first instance. On 30th Oct 2000 First Branch of People's Procuratorate of Beijing prosecuted Mr. Wu Ze Heng in the name of “illegally operating a business” and “unauthorized issuance of shares”. On 10th Sep 1999 Mr. Wu Ze Heng was formally arrested for political and religious reasons in Beijing. On 9th July 1999 Mr. Wu Ze Heng petitioned President Jiang Ze Ming and Prime Minster Zhu Rong Ji, pointing out that the State is facing the problem of a national crisis of faith, and recommended that people should be guided by the common Universal life philosophy to a perfect personality, and also pointed out the persecution Hua Zang Incorporated Co., Ltd encountered in the process of its establishment. On 22nd of May,1999 His Holiness Vairocana Xing Wu held the Grand Awakening of Vairocana Dharani Ritual in Zhou Quan Monastery in Shanxi Province for the second time. On 25th of April,1999 His Holiness Vairocana Xing Wu held the Grand Awakening of Vairocana Dharani Ritual in Zhou Quan Monastery in Shanxi Province for the first time. On 20th Apr 1999 Mr. Wu Ze Heng initiated the establishment of Hua Zang Enterprise Co., Ltd in Beijing, and presided over the first preparatory meeting. On 20th Nov 1998 Mr. Wu Ze Heng wrote to the CPC Central Committee and State Council to submit his proposal of national social reforms. From 22nd to 28th Nov 1998 1998, the Second National Interdisciplinary Elite Training Program was held in Beijing, comprising 62 experts and scholars from 18 regions all over the country. Mr. Wu Ze Heng brought forward the United Universe Theory of “Grand Triplet”. From 26th to 28th Sep 1998 Mr. Wu Ze Heng went to Shanghai to deliver a series of lectures and seminars. On September 27, Mr. Wu gave a lecture on “Life Science and the 21st Century”, first exposed “Grand Dharani of A-Hundred-Billion-Dharma”. A thousand people attended. In the evening, Mr. Wu continued to give a lecture on “Hua Zang Dharma of Heart and the Future of Shanghai” to the students in Shanghai. About 170 persons came. From 18th to 21st Sep 1998 His Holiness Vairocana Xing Wu preached a speech on “Buddhism and Hua Zang” in Beijing Hua Zang Consulting Centre. He first brought forward the notion of “Hua Zang Enlightenment Culture”, and gave an explanation on True-Teaching and Form-Teaching, Four Noble Truths, Six Paramitas, and Three Kinds of Zen and Eighteen Grades of Meditation. From 9th Sep to 8th Nov 1998 His Holiness Vairocana Xing Wu held “The First Assembly in The Third Session of Hua Zang Vairocana Dharma Altar” in Beijing. 10 disciples attended the altar, and gained “Vows of Bodhisattva Certificate”. From Mar to Apr 1998 Life Ponder and Dharma Nectar of Hua Zang written by Mr. Wu Zeheng reprinted. From 25th Jan to 3rd Apr 1998 His Holiness Vairocana Xing Wu held “The First Assembly in The Second Session of Hua Zang Vairocana Dharma Altar” in Beijing. 16 disciples attended the altar, and 5 of them gained “Vows of Bodhisattva Certificate” on May 3. From 8th Dec 1997 to 5th Jan 1998 His Holiness Vairocana Xing Wu held “The First Assembly in The First Session of Hua Zang Vairocana Dharma Altar” in Beijing. 11 disciples attended the altar, and gained “Vows of Bodhisattva Certificate”. The holding of Vairocana Dharma Altar proved the grandness , consummation and perfection of Hua Zang Dharma, and demonstrated that Hua Zang Dharma is the Holy Aggregate of the Orthodox Dharma of Buddha. His Holiness Vairocana Xing Wu made a preach about “everything is formed because of causes and the original nature of everything is emptiness” to the disciples in the first assembly. On 9th Dec 1997 Mr. Wu Ze Heng established “the Beijing Hua Zang Consultation Center”. From 1996 to 1997 Mr. Wu Ze Heng successively held “Life Science Lectures”, “refresher courses of Hua Zang Heart Intuitive Dharma” and “Elite Classes” in Beijing, Taiyuan in Shanxi Province, Xuzhou in Jiangsu Province and Bengbu in Anhui Province. On 1st Feb of Chinese lunar year, 1997 The day of Double Stars (Eclipse and Comet), His Holiness the Vairocana blessed the “Eight-Merits Water” in Beijing to extricate people from disasters. On 26th Jan 1997 Mr. His Holiness Vairocana Xing Wu publicized “The Genealogical Chart of Buddhism with Hua Zang Lineage” in Beijing. From 18th to 23rd Jan 1997 Mr. His Holiness Vairocana Xing Wu held “the First Training Class of the Intermediate Level of Hua Zang Heart Intuitive Dharma” in Xuzhou, Jiangsu Province, and disseminated “the Grand Dharma of Dharani” for the first time on the mainland. In May 1996 Mr. Wu Ze Heng raised a fund of 2.17 million Hongkong Dollars to establish a primary school in his hometown, Huilai, Guangdong Province. Wang Guangying, Vice Chairman of NPC, inscribed “Wu Ze Heng School” and “Wu Ze Heng Teaching Building” for the school. In May 1996 The ana of Mr. Wu Ze Heng, Zen Bell Alarm, was published. The book integrated all the Zen essence Mr. Wu Ze Heng had discoursed since he came out into the secular world. On 16th Feb 1996 Mr. Wu Ze Heng initiated the preparation of “Life Science University of China” and got permission from the apropropriate state department. He was assigned the Directorship of Preparation Committee, and intended to apply for acceptance of Hua Zang Heart Intuitive Dharma into the educational system. On 10th Feb Mr. Wu Ze Heng established the “World Center of Hua Zang” in Hongkong. Hua Zang Dharma began to open up its historical process globally. On 20th Dec 1995 On the invitation of eight universities, such as University of Science and Technology of China (USTC), Hefei University of Technology (HEUT), the PLA Electronic Engineering Institute, Anhui Medical University, Mr. Wu Ze Heng delivered the discourse on “Life Foundation and Life Definition” to more than 200 professors, scholars and experts in Chinese Science and Technology University. Mr. Wu Ze Heng first proclaimed the definition of life --- “Anything having a space-time process is life”. On 25th May His Holiness Vairocana Xing Wu led a pilgrimage of more than 60 disciples of the mainland and Taiwan to Shao Lin Monastery . On 19th May 1995China Life Science Association, the first-level of state association, was established in the Great Hall of the People.Mr. Wu Ze Heng presided over the conference. Several state leaders, such as Wang Guangying, Yang Chengwu, and many scientists were invited to attend. In Apr 1995 His Holiness Vairocana Xing Wu held the “Dharani Assembly” in Nepal for the second time. From 25th to 26th March 1995 Mr. Mr. Wu Ze Heng convoked the “First Life Science Proseminar (Xiangshan Conference)” in Beijing. More than 500 scientists attended the meeting. The conference confirmed the primary position of Life Science in the 21st century, and made the theoretical preparation for the formal establishment of the China Life Science Association. From the end of 1994 to the beginning of 1995 under the initiation of Mr. Wu Ze Heng, Singapore, Malaysia, Indonesia, Brunei, and Thailand co-established “United Meeting Center of Hua Zang”. In 1994 Mr. Wu Ze Heng was engaged as Philosophy Professor by Hong Kong City University United. In 1994 His Holiness Vairocana Xing Wu displayed for the first time the “Kashaya and Bowl”, the symbol of the Dharma lineage of Sakyamuni in Taiwan. In 1994 Mr. Wu Ze Heng publicized to the whole world “the Credo of Hua Zang Dharma”, which takes “Promoting World Peace and Pioneering a Pure-land” as its core. In Oct 1994 Mr. Wu Ze Heng delivered a series of academic lectures on Dharma entitled “Hua Zang Heart Intuitive Dharma and Human Life” in Zhanghua, Taiwan. For the first time, he proposed the notions of “to punish evil is to praise good” and “no refusal to siddhi with right belief”. The “International Training Center of Hua Zang, Taiwan Center” was established. In Sep 1994 Life Science and 21st Century, written by Mr. Wu Ze Heng, was published. The book discoursed upon the survival crisis modern technology brought to human beings and the necessity to follow the way of life science. In July 1994 His Holiness Vairocana Xing Wu held the “Dharani Assembly” in Nepal, disseminating the Great Dharma of Dharani (Intermediate Level of Hua Zang Heart Intuitive Dharma) for the first time. The attendants were Bhikhus who had been in renunciation for more than 15 years. In Apr 1994 Approved by United Nations Educational, Scientific, and Cultural Organization (UNESCO), the international scientific research group --- International Life Science Research Center --- was founded in Hong Kong. Mr. Wu Ze Heng was assigned as the General–Secretary and Executive Chairman of the Asian Division. On 8th Apr of Chinese Lunar Year,1994 Hua Zang re-turned the Wheel of Dharma in the secular world. The Dharma Ending Era came to its end. In Jan 1994 His Holiness Vairocana Xing Wu delivered an essay entitled On Heart, stating that spiritual and temporal are oneness, and Dharma principles and their applications are unitary from the view of Hua Zang Dharma. From 1993 to the next year Mr. Wu Ze Heng went to Britain, Germany, France, USA, Japan, Korea, and former USSR to engage in visits, research and teaching activities. In Dec, 1993 Mr. Wu Ze Heng drafted the constitution of “Hua Zang World Federation”. In Oct 1993 Mr. Wu Ze Heng was granted a PH.D in Humanities from Cambridge University, and was engaged as a visiting professor. In summer Chinese Life Science Association (in preparation) held a symposium. About a dozen celebrities from scientific and technological circles, including the Standing Committeeman of NPC, Vice Chairman of the People’s Congress of Shanghai, the Dean of Bioscience School of Fudan University, Tan Jiazhen (a famous biologist), took part in the symposium. In Jan 1993 Life Ponder, written by Mr. Wu Ze Heng, was published. The book included nine articles of Mr. Wu Ze Heng’s speech on “Qi Gong”, traditional culture and life science. In 1993 Mr. Wu Ze Heng changed the name of “Hua Zang Gong” into “Hua Zang Heart Intuitive Dharma”. In 1993 Before De Chan ，abbot of Shaolin Temple， passed away, he passed the Symbol of Orthodox Dharma - a Shao Lin Treasure “Yi Shan Painting” to His Holiness the Vairocana Xing Wu(Mr.Wu Ze Heng), the 32nd generation successor. In 1992 Mr. Wu Ze Heng set up the “International Life Science Development Foundation” in Hong Kong. In Jan 1991 Under the invitation of the China University of Mining and Technology, Mr. Wu Ze Heng went to Xuzhou, Jiangsu Province to hold Life Science Report and Training Classes, and build Xuzhou Teaching Base. In Dec 1990 The Preparatory Committee of the “China Life Science Association” was founded in Beijing, and Mr. Wu Ze Heng was assigned the Directorship. From Sep to Dec 1990 Mr. Wu Ze Heng went to Pizhou city of Jiangsu Province to do clinical research on the programs of the transfer of cancer cells out of the body, polio and common diseases of the digestive system. All these programs were in the charge of the “Chinese Qi-Gong Science Research Association”. In Sep 1990 Mr. Wu Ze Heng was appointed as the Vice Director of the Scientific Research Group and the Distinguished Researcher of the Chinese Qigong Science Research Association. HE was in charge of the evaluation of all Qigong masters in the whole country under the commission of the committee. Hua Zang “Gong” was assessed the only “Gong” of State-level Scientific Research. On 6th Sep 1990 Mr. Wu Ze Heng (His Holiness Vairocana Xing Wu) erected a monument entitled “Zen Treasure for Thousands of Years” in Shan Lin Monastery, symbolizing the birth of Hua Zang Dharma created by Mr. Wu Ze Heng (His Holiness Vairocana Xing Wu). From Jun to Sep 1990 When arriving in Beijing, Mr. Wu Ze Heng was invited to treat Marshal Xu Xiang-qian, who was severely ill. Then his name was registered in the Central Bureau of Health. Taking up the suggestion of the “China Qi-gong Science Research Association”, he communicated with experts and scholars in scientific, academic and educational areas and launched training courses in Tsinghua University. On 2nd May 1990 (8th April of Chinese lunar year) (April 8 of Chinese lunar year), Mr. Wu Ze Heng was initiated into a Perfect Bodhisattva Precept in White Horse Monastery. HE wrote a poem Commitment declaring his great aspiration of benefiting the world and all beings. In 1987 When 18 years old, to observe his masters’ order, Mr. Wu Ze Heng came to Shao Lin Monastery，in the hope of serving the country. In the Founding Monastery of Zen Dharma, he became apprenticed to the Eminent Monk De Chan, who was the late Abbot of Shao Lin Monastery. At the age of 19, he became the General Supervisor, the youngest ever in the Monastery history . In 1987 In 2531 by the Buddhist Calendar (1987 AD), after a forty-nine day seclusion on Zhi Zi Peak of Wuyi Mountain, Zen Master Xing Wu obtained the enlightenment of Holly Bodhi, and attained Vairocana Buddhahood. Since that time, there has been His Holiness Vairocana Xing Wu, an Enlightened One, in the secular world. In 1986 In 1986 Master DE Zhen who lived in seclusion and is the successor of Occult and Secret Door of Buddhist Orthodox Dharma, passed the heritable ”Kashaya and bowl ” which is rarely known by people since the 6th Ancestor, to His Holiness the Vairocana Xing Wu(Mr.Wu Ze Heng). In 1978 Mr. Wu Ze Heng began his life in the mountain as an eleven year-old monk。Taught by the two Eminent Masters, he focused on Buddhism. His additional study covered Dharma, Taoism, Confucianism, history, martial art, traditional medicine, the art of war, Shu Shu (incl. Book of change, Geomancy, etc. ), Astronomy, Geography… Along with the summer gone and winter come, tempered by thousands of hardships in extreme danger, he finally transcended life and death and obtained pratyabhijna. He obtained the enlightenment of Holly Bodhi, and attained Vairocana Buddhahood. Since that time, there has been His Holiness Vairocana Xing Wu, an Enlightened One, in the secular world. In 1974 At the age of seven, Mr. Wu Ze Heng met De Zhen and De Zhi, two Eminent Monks of Cao Dong Dharma of Zen from Shao Lin Monastery, and also the Successors of the Orthodox Dharma of Buddha, and retreated to hermitage. On 18th July (the lunar month) 1967 Mr. Wu Ze Heng was born in a small coastal village in Huilai County of Guangdong Province, China.